Think you have the chops to win tickets to the NASCAR event of the season? Warm up your vocal cords or at least pretend to. The first 17 Video submissions between now and Friday (9/21) are guaranteed a pair of tickets. If you share or retweet the contest post, you could win a pair of tickets, signed David Ragan and 1000Bulbs.com swag, pit-passes, and more! Record yourself singing (or lip syncing) the 1000Bulbs.com Jingle. For additional entry: retweet and share the pinned contest post on Twitter or Facebook. Daily prize drawings start tomorrow! Randomly selected winners will win two tickets to the NASCAR playoff weekend October 13 and 14, 2018. 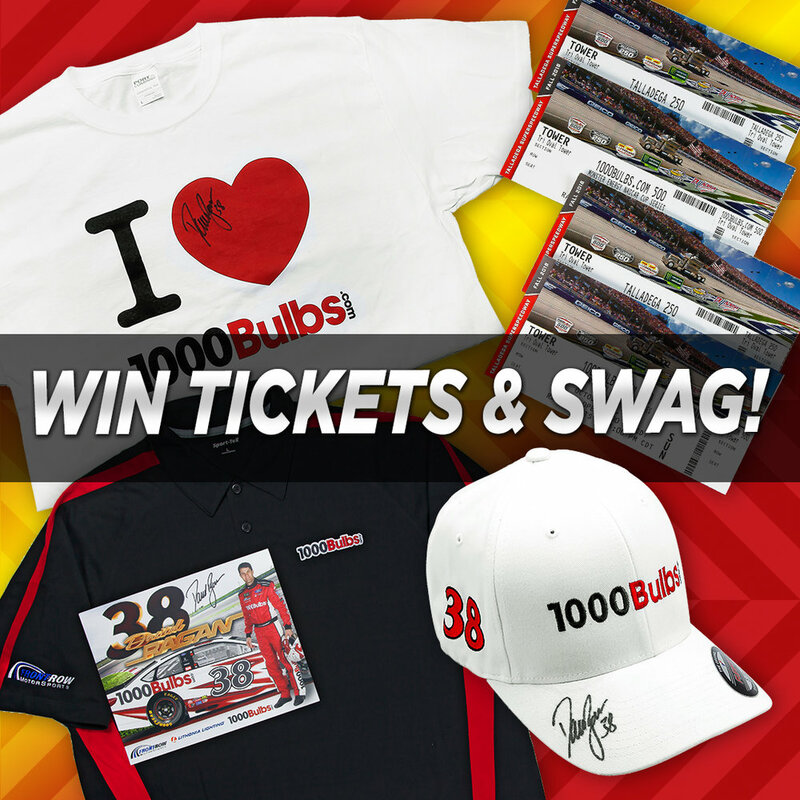 Videos that have more than 100 shares when chosen by random drawing will also win 1000Bulbs.com and David Ragan swag. Don’t want to be on camera? Share the Facebook contest post or retweet the contest announcement on Twitter for a chance to win two tickets. On the final day of the contest, Sep 25, the video with the most shares wins the Ultimate Fan Package: 4 tickets to the 1000Bulbs.com 500, signed swag, two pre-race pit passes, a meet and greet with David Ragan, and more! So get your friends and family to share your video for a chance to win additional prizes. Race over to Facebook and Twitter with your video submission. Terms and Conditions apply. for lighting fixtures and bulbs where the price is low. I save money buying online. I can help and give suggestions. I’ll get your light bulbs there on time. It’s the #1 place where lighting is sold. We ship within 1 day.